Below are a number of honey hair masks to suit a variety of different hair types and conditions, including for oily, dry, and normal hair. 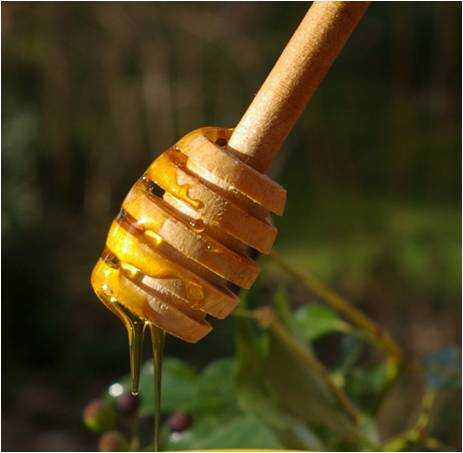 There is also a hair mask containing honey for strengthening hair, and recipes to stimulate the scalp and improve shine. Remember to conduct a small skin patch test before spreading all over the hair. Do not use any of these recipes if you are allergic to the ingredients. Check with your doctor if you are breast feeding or pregnant, especially before using products with essential oils. Combine the olive and coconut oil, then blend together with the banana and honey. Apply to the hair and cover the hair with a shower cap for 20 minutes. Mix the oils together, then combine with the rest of the ingredients. Apply to the hair and cover the hair with a shower cap for 20 minutes. Rinse and wash with a mild shampoo. Blend the coconut and olive oil together, then combine with the rest of the ingredients. Mash the avocado, and mix with the oils and honey. Apply to the hair and cover the hair with a shower cap for 20 minutes. Rinse and wash with a mild shampoo. Combine the ingredients. Apply to the hair and cover the hair with a shower cap for 20 minutes. Rinse and wash with a mild shampoo. Mix the oils together, then add the honey. Apply to the hair and cover the hair with a shower cap for 20 minutes. Rinse and wash with a mild shampoo. Mix the oils together, then add the rest of the ingredients and blend. Apply to the hair and cover the hair with a shower cap for 20 minutes. Rinse and wash with a mild shampoo.